Lynn R. Sanny, 83, of Clarendon Hills, IL., formerly of Glen Ellyn, IL. died peacefully on September 14, 2018. Lynn was the beloved husband of the late Mary Shoemaker Sanny; dear father of Mark (Susan) and Sara (Matt); loving grandfather of James (Abi), Ashley and Ian; loving great grandfather of Iris. He was a loving brother to Bruce and Beverly Sanny. Lynn was the band director at Glen Crest Jr. High School in Glen Ellyn from 1967-1990. He was recognized for his commitment and dedication when he retired. 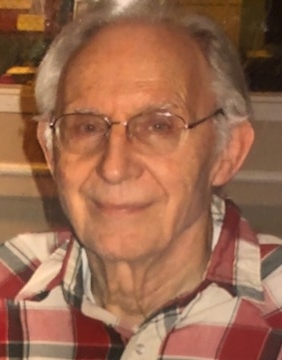 He was an active member of the Kiwanis Club of Central DuPage. Lynn loved old cars, airplanes, history and big band music. His favorite museum was the Smithsonian Institute in Washington D.C.
Visitation will be Friday, September 21st from 10am-12pm with a service immediately following – Leonard Memorial Home, 565 Duane St., Glen Ellyn, IL. Burial will be at Bronswood Cemetery in Oak Brook, IL.